Do sunglasses mean to you more than just eye protectors? Do you feel that they reflect your style? Do you take eyewear fashion seriously? If yes, then Lenskart’s designer sunglasses collection is just for you. Your favorite eyewear store brings to you some classy pair of sunglasses designed meticulously to meet your fashion needs. 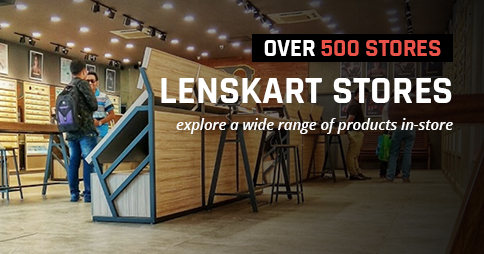 Lenskart values its customers and handpicks some of the best designs for them. Its designer collection of sunglasses has some tasteful and striking designs that will leave you awestruck. Club round Sunglasses: The club rounds by Lenskart are handsome and fashionable. Bringing in the popular fashion of the 50s and 60s, these vintage sunglasses with a contemporary touch and bright colour palette are fresh and vibrant. Oval Sunglasses: Want something more interesting and intriguing than plain rounds, we have got elegant ovals for you. As pretty as your Gucci bag but garnering more limelight, are these vivacious sunglasses with a sleek silhouette that add a distinct finesse. Sports Sunglasses: The designer sports glasses keep you active as well as stylish. If most of your time is spent outdoors, exploring the beauty of nature and enjoying adventures, but you do not wish to compromise on fashion, then these flashy and smart sunglasses are meant for you. Hexagonal Sunglasses: The impressive hexagonals make it to our designer sunglasses frames collection. The dainty frames with distinct and quirky shape are classy and elegant with subtle flamboyance that will surely impress everyone. Square Sunglasses: The classic squares come in an all new avatar. With curved edges, contemporary detailing and vibrant hues, these make for elegant designer sunglasses that can elevate any ordinary look and bring you under the spotlight. Clubmasters Sunglasses: The popular vintage style comes back with a bang in a fresh new look which is partly chic and partly sophisticated. The designer clubmasters by Lenskart are a class apart from regular sunglasses. Their quirky design and metal detailing give you a serious and cool look all in one. Cat-eye Sunglasses: The ethereal cat-eyes add grace to your look, but for a more glamorous look we bring to you the latest designer sunglasses that come in some striking shapes and designs. There are some graceful versions with soft and round edges alongside their fierce counterparts with prominent edges and bold prints. Rectangular Sunglasses: Rectangular sunglasses are fashion essential. These timeless frames have an aesthetic appeal which can enhance any look. Here we bring you some stylish frames that come in varied colours, frame designs and styles that are classier than ever. Round Sunglasses: The small, petite round sunglasses can take you back to the retro era. But here we give them a cosmopolitan touch which makes them just perfect to pair with your Gucci shoes and bag. These glamorous sunglasses are nothing short of a fashion statement. Wayfarer Sunglasses: The designer wayfarers are much more than elegant fashion. 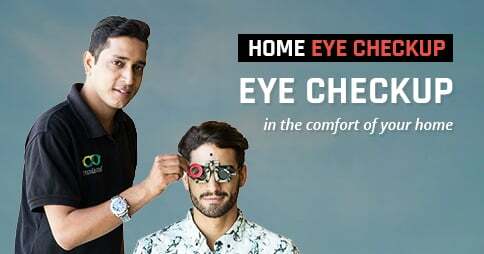 These come in flamboyant frame designs and stainless steel temples that add contemporary finesse to the look giving them a flattering new look. Aviator Sunglasses: The ever so cool and hip aviators turn chic and sassy. The sleek silhouettes and soft coloured glasses have a royal charm which is completely mesmerizing. Want to turn up the glamor level, let your aviators do it for you.